The New York Center for Agricultural Medicine and Health (NYCAMH) announces this year's winner of the NYCAMH Hero Award, recognizing a community member or organization who has positively influenced safety on New York farms. 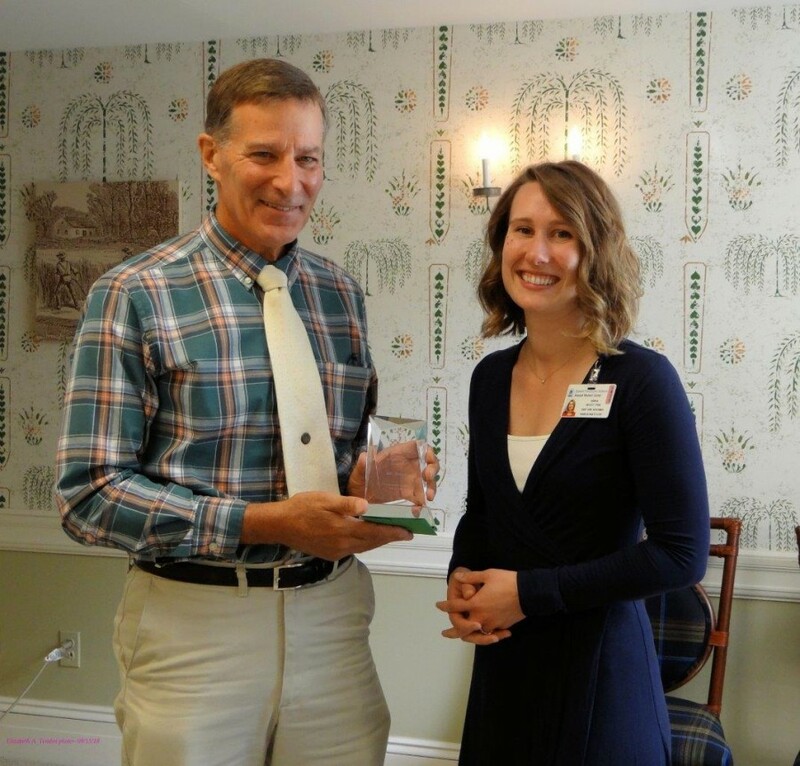 "Bill's life-long dedication to the agricultural community makes him the perfect recipient of the 2018 NYCAMH Hero Award," said NYCAMH's Deputy Director, Erika Scott. This award was created to recognize the extraordinary accomplishments of an individual or community partner whose work has enhanced agricultural safety and health in New York. Mr. Gibson's commitment to safety has influenced NYCAMH in many ways. His service as a long-time safety trainer, assistance with safety promotion and John May Farm Safety Fund (JMFSF) video creation and his ongoing advocacy for the agricultural community have provided our staff with a terrific role model and greatly enhanced the lives of local farmers. Many volunteer roles fill Bill's time, including the Otsego Land Trust Conservation Committee, Middlefield Town Planning Board, Middlefield Town Zoning Board of Appeals, Cornell Cooperative Extension and 4-H committees and Board of Directors. He has also served as Past President of the Schoharie - Otsego Cornell Cooperative Extension, has provided leadership with the Cub Scout and Little League, as well as held teaching and leadership positions in his church.